Forecast any monthly data based of historical seasonal trends. CleverQ can automatically calculate monthly totals for your data. 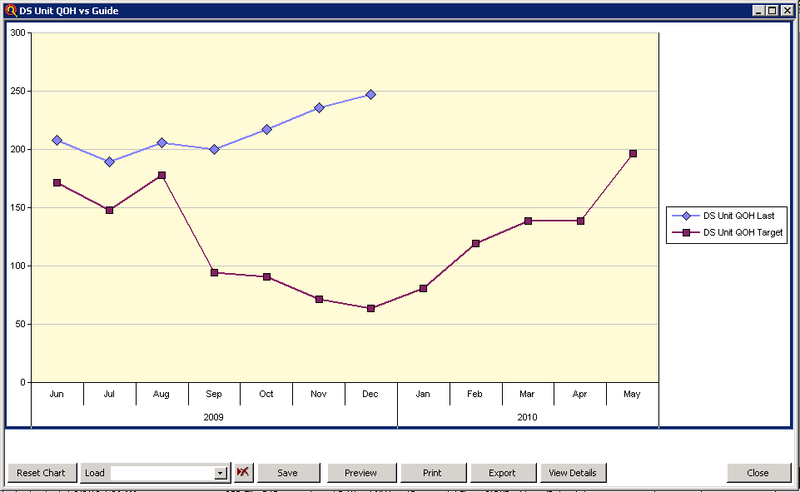 Seasonal Trends are then calculated on your historical data using weighted averages on the years you want to use. Then seasonal trends are used to forecast your data. No more guessing. For example: This chart is using the quarterly moving average of forecasted data to calculate needed inventory levels and ordering needs based on desired turnover. 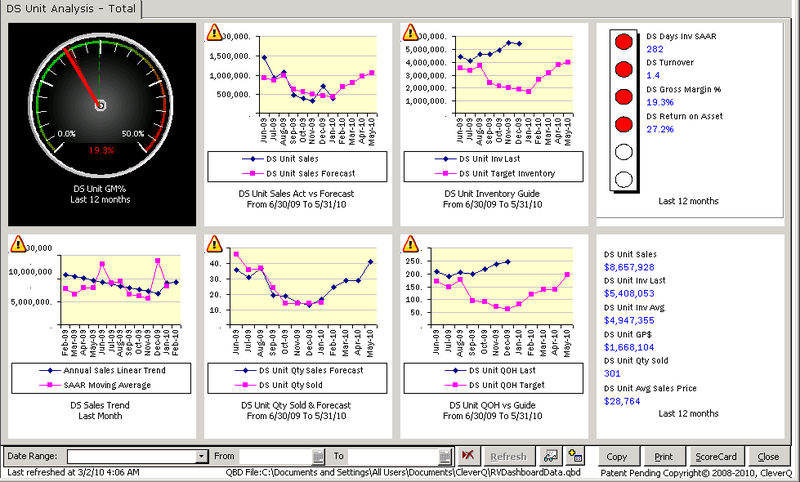 See when your inventory is growing beyond the forecasted levels. All of the calculations are happening in CleverQ from raw uncalculated data.